Nevada produces more gold than any other state in the United States, and it is the sixth-largest producer of placer gold. Placer deposits are deposits of gold in sand or gravel, often found in stream beds. Placer gold is the type of deposit in which prospectors with metal detectors are interested, because it is not buried deeply. 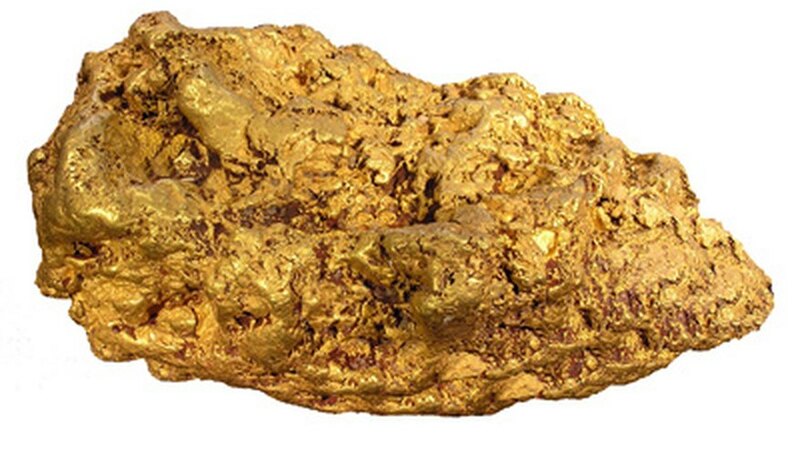 Prospectors with metal detectors may also have luck with mineralized gold veins present in hillsides. Go to the Nevada Bureau of Land Management and investigate areas you cannot mine. Its address is 1340 Financial Boulevard, Reno, Nevada, 89502. Before mining or prospecting anywhere in the state, you must be aware of land ownership and previous claims. It is illegal to mine in some National Parks, on private land, and in claims in which you do not have the owner’s permission. Research rich mining areas. The northern half of the state has many areas great for nugget shooting (using a metal detector to find gold nuggets). Rye Patch, Placerities, Sawtooth, Rabbit Hole, and Rosebud districts are the most productive for a prospector with a metal detector. In addition to going to the Bureau of Land Management, you can visit the websites for the Nevada Bureau of Mines and Geology (see Resources) and the Nevada Commission on Mineral Resources: Division of Minerals (see Resources). They have maps marked with areas where mineral deposits have been found. Find a partner or partners. You will need at least one other person in order to be efficient and safe. Make sure you have directions to the area with the gold, and maps of the land. Topographic maps are the most useful for your venture, or a guide who has mined the area before. Head out to the area you have chosen to mine. Bring your maps, water, food, cellphones, metal detectors, and dry washers. It is a good idea to inform your families where you will be, in case you get into trouble in the desert. Start detecting. Choose a method with which to cover the ground and divide the area. Move slowly and methodically over the area. Stop when you detect something. Shovel the gravel and dirt in the detected area into your dry washer’s scalping screen (the top screen). Make sure any dirt or gravel you load into the machine is dry and well-broken up. Operate the bellows at about 20 pulsations per minute. The fans will blow any dirt away from the gold particles, but they are not strong enough to blow the gold away. When you have processed all the gravel, collect the gold, and empty and clean the dry washer.